Areas with high voltage equipment present hazards that people might not even be aware of. Since the hazards of these high voltage equipment and areas are not always immediately visible, these are especially dangerous. As a result, people are exposed to a high degree of risk when near these. This is where High Voltage signs are especially useful -- to inform people of the presence of such a hazard. Notify people and help them take the necessary precautions to protect themselves with these signs. 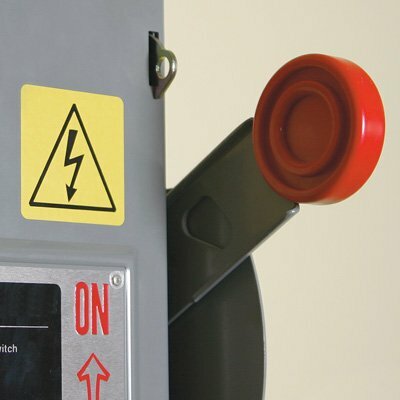 Choose from High Voltage Signs and safety signs that comply with government standards. 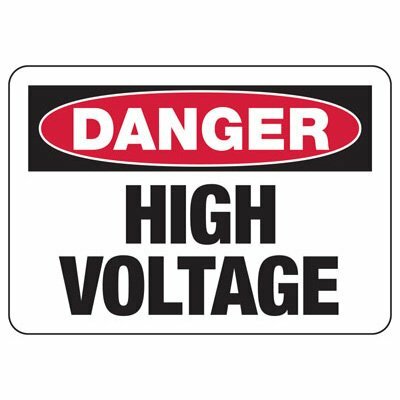 Danger High Voltage signs and other similar signs are manufactured in different sizes, shapes and materials, and are all designed to immediately call attention to any electrocution hazards. Keep people safe from the dangers of electrocution. Every year, around 400 people in the United States are killed due to exposure to sources of high voltage power. Posting High Voltage signs helps ensure that people are aware of the presence and possible dangers of electrocution and similar hazards in the immediate vicinity. Keep those in your facility informed of such dangers with High Voltage signs from Seton. Prevent electrical accidents from occurring in your facility and comply with federal requirements. Government regulations require companies to post High Voltage signs on all doors and gates used to access high voltage areas, or where dangerous electrical equipment are stored. This is to ensure that anyone can see the warning even before they open the panel, door or gates. A location is considered high voltage if there is in excess of 600 volts in the area. Signs should be installed at a distance of no more than 12 feet from where high voltage equipment are located. To further enhance safety measures in your facility, lock out and tag out measures need to be enforced before high voltage equipment are serviced. Use High Voltage signs to remind people that LOTO is needed before any maintenance work on such equipment can begin.